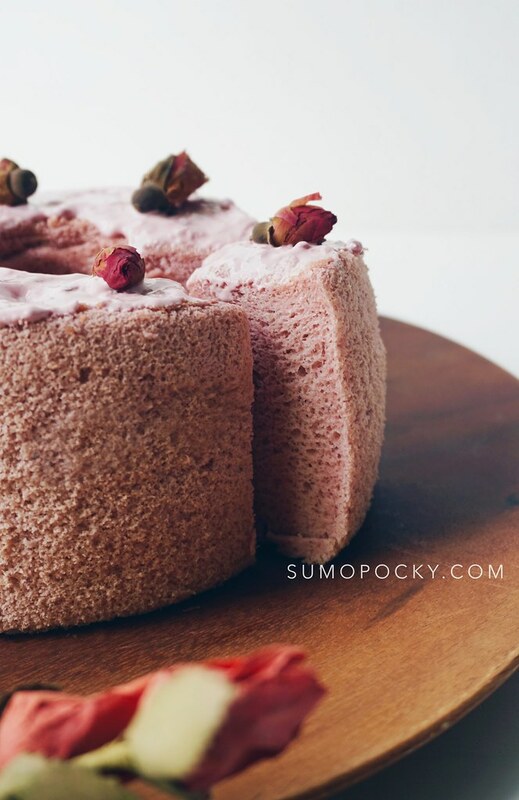 This Rose Tea Chiffon Cake recipe carries a beautiful, subtle flavour of rose tea and is perfect for those without a sweet tooth. 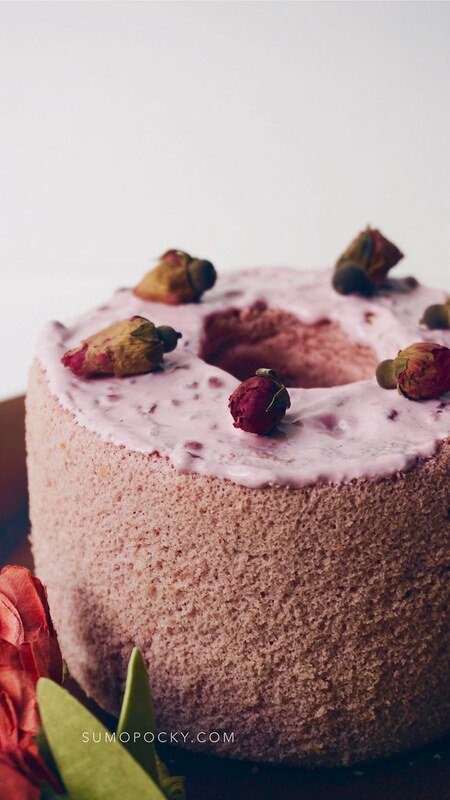 I decorated the cake with raspberry cream and topped it with rose buds for a vintage look. 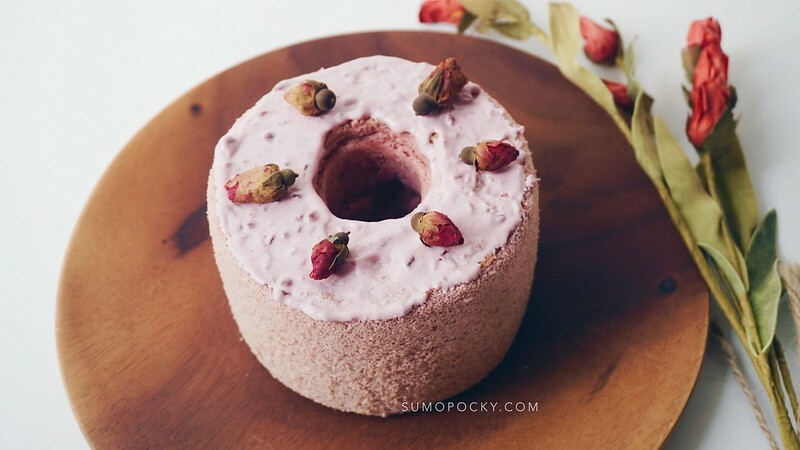 I've been wanting to experiment with baking different kinds of tea-flavoured chiffon cakes. 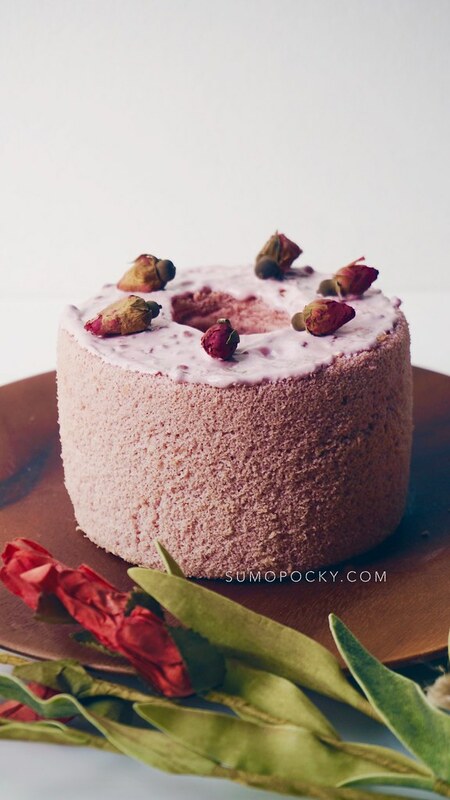 As I recently purchased some rose tea buds, I thought they'd make for an interesting chiffon cake flavour! If you are wondering, this cake doesn't taste anything like a bandung cake. It carries the unique, floral flavour of rose tea, without being overwhelmingly strong. I baked this chiffon cake in my new extra tall chiffon cake pan! 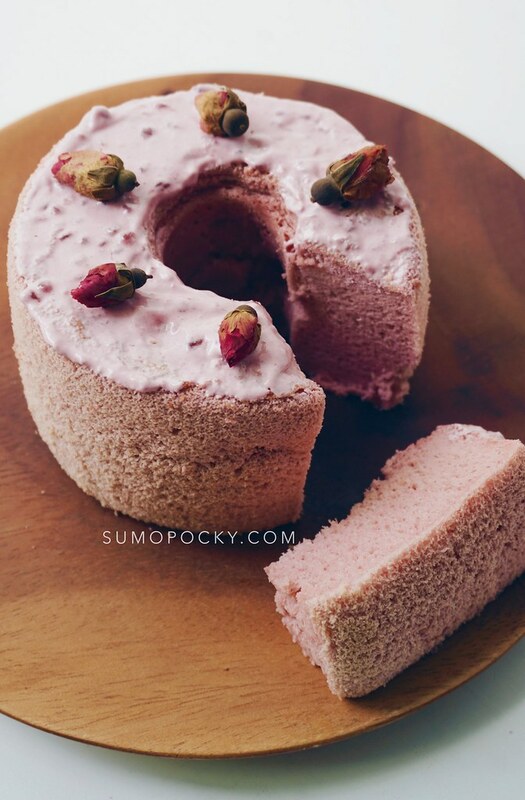 After seeing a couple of gorgeous tall chiffon cakes baked by others online, my heart was won over and I had to order the cake pan to experiment for myself. As the cake pan is extra tall, I had to increase the baking time slightly to make sure it is fully cooked throughout. 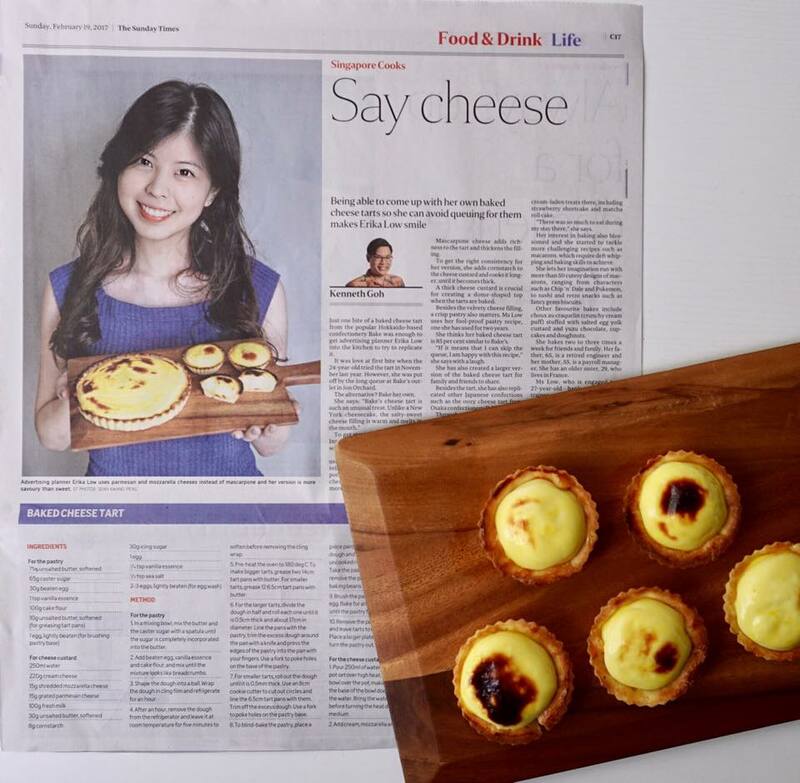 What do you think of the extra tall chiffon cakes? I'm definitely a fan! 2. Add 50ml of hot water to the rose tea buds. Let the tea steep while you prepare the other ingredients. *Optional: Add a few drops of red food colouring to give the cake a more vivid shade of pink. 3. Meanwhile, prepare the meringue. Using an electric mixer, beat the egg whites on low speed. When it starts to get white and frothy, increase the speed to medium and add the sugar in portions gradually. Beat till stiff peaks form and set aside. 4. In a separate bowl, beat the egg yolks, caster sugar, and vegetable oil. 6. Sift in the cake flour and mix well. 7. To the mixture, mix in 1/3 of the meringue with a balloon whisk. 8. Gently fold in the remaining meringue. 9. 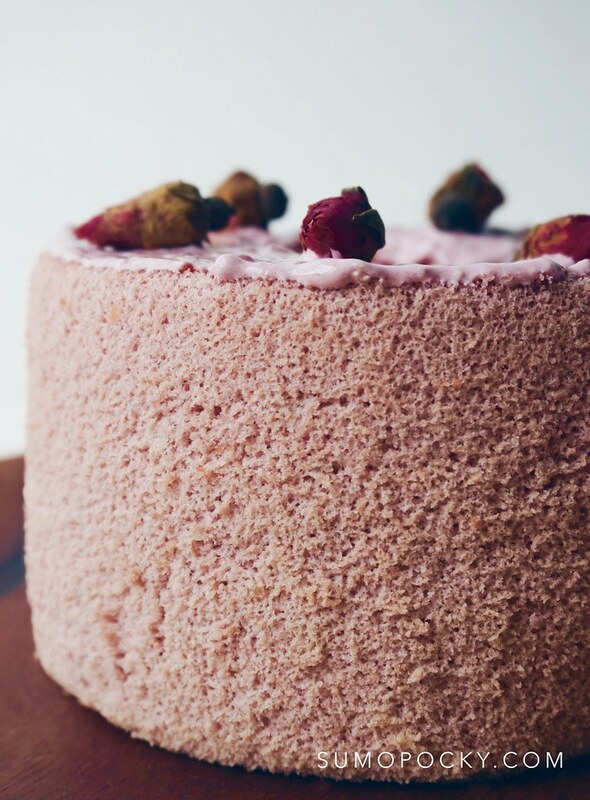 Pour the batter to a chiffon cake pan and bake in the preheated oven for about 30 minutes. 10. Let the cool completely upside down. Then, gently remove it from the cake pan. 11. You can choose to decorate the cake with cream and topped with rose buds. Hey Erika! 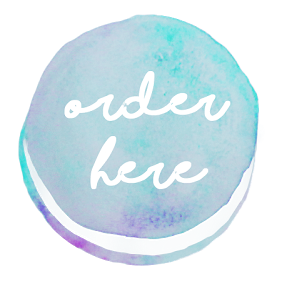 I recently came across your website and everything looks delicious!! Yes, the extra tall chiffon cakes are downright gorgeous! I would totally buy if I had the money LOL. I also had some questions about this recipe. 1. For the recipe, in case I can't find any caster sugar and cake flour, what can I use to replace it? For caster sugar, would regular sugar be fine or would a finer sugar (like powdered sugar or confectioner sugar) work? For cake flour, is it fine to substitute it with regular flour instead? If I remember correctly, cake flour makes the cake more moist and I guess spongier? 2. In your directions, you said to pour the tea into 3. By 3, you meant step 3 right? Or would I add it into the egg, sugar, and vegetable mixture? 3. How long will the cake keep in the fridge? Would it keep for about a week in the refrigerator? Thank you for providing us with this wonderful recipe! 1. Please use caster sugar as this gives the best results for the meringue. You'll need to use fine, granulated sugar, which is caster sugar. Cake flour helps to make the cake fluffier, and I think there are ways to substitute all-purpose flour for cake flour. 2. Yes, add to the egg, sugar, and oil mixture. Thanks for spotting my typo! Hope the cake turns out well for you! Really looking fwd to trying this cake. 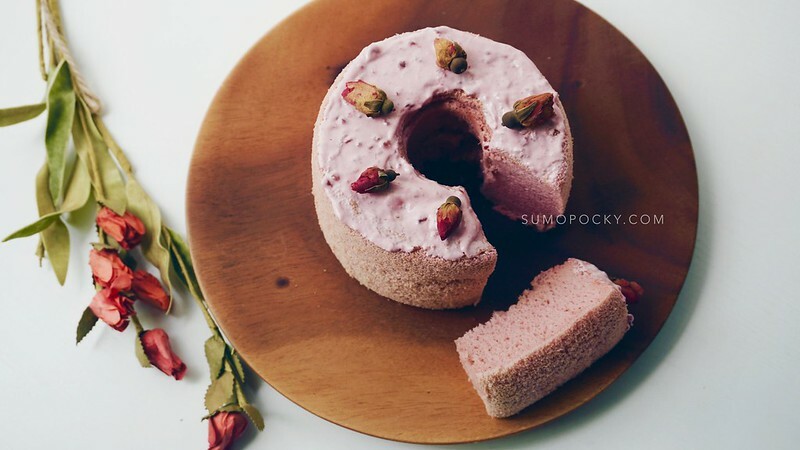 Is it possible to make it in an 8inch round cake Pan? Can you share the measurements for it?